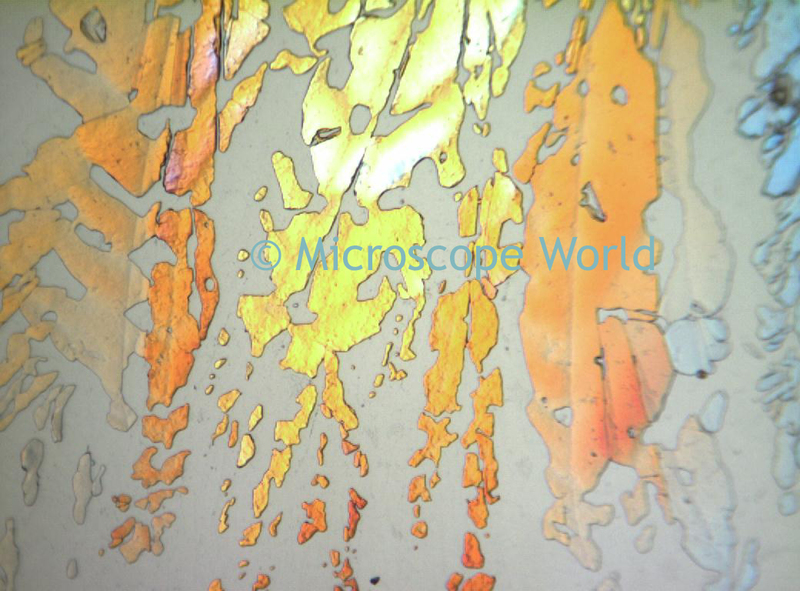 Polarizing microscopes are used for specialized medical and industrial applications, such as identifying crystals or fibers suspended in liquid, identifying minerals in core samples and detecting defects in semiconductors. Gypsum captured at 400x magnification under the MT9300 polarizing microscope. Polarizing microscopes are used for toxicology, chemistry, pharmaceutics, medicine, the pulp/paper industry, and forensic medicine. They can also be utilized in finding stress points in metal, glass and other materials. Vitamin C captured at 400x magnification under a polarizing microscope. 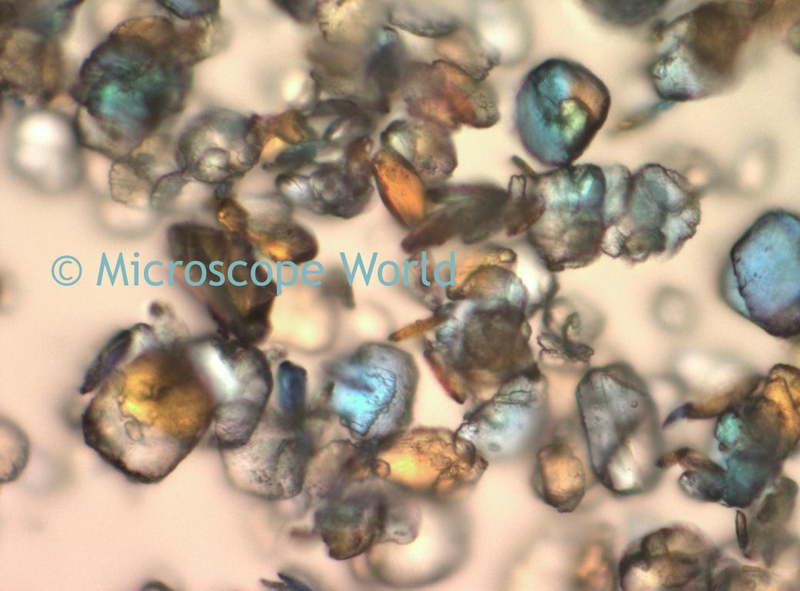 Sugar captured at 100x magnification under the polarizing microscope. 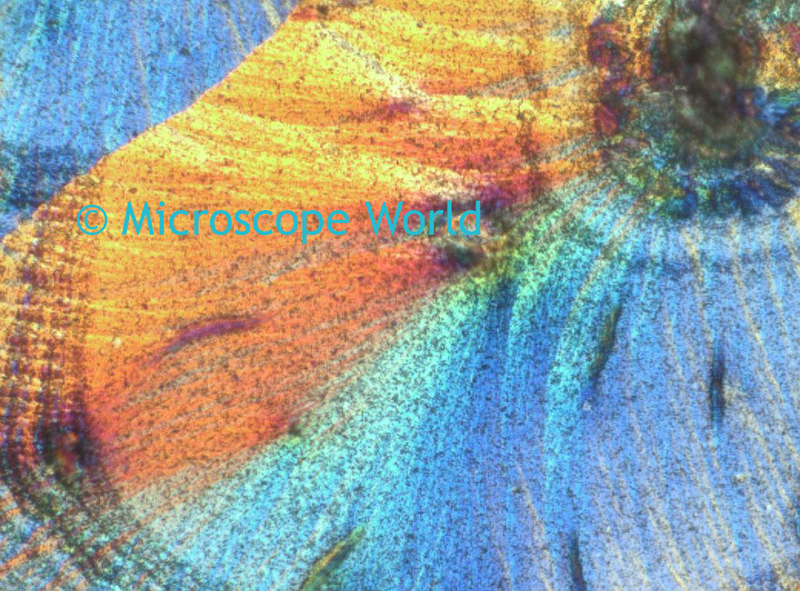 Because polarizing microscopes use a polarizer and an analyer to affect the light passing through the microscope, often the images produced are brilliant in color.